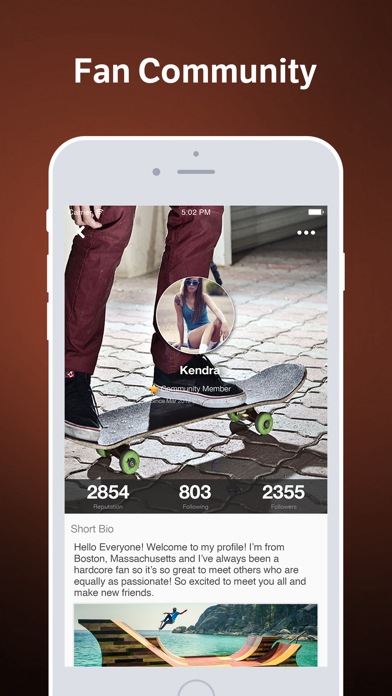 Skateboard Amino is the fastest growing mobile social network for skateboard fans! 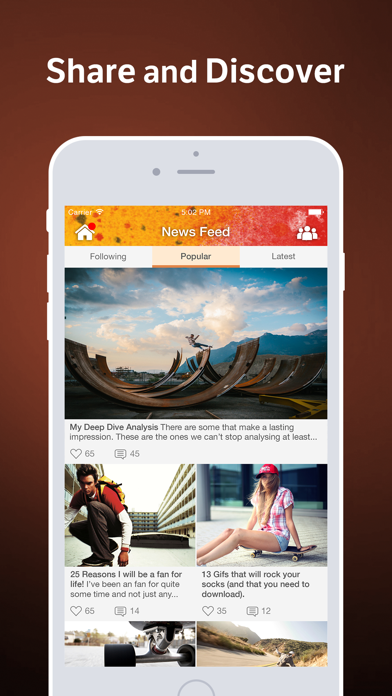 Discover other skaters nearby and around the world who share your passion for ollies, tricks, extreme jumps, grinds, half pipes, Tony Hawk, Ryan Shekler, Element, Sk8 Mafia, Spitfire, and Habitat . Post and chat about boards, tutorials, and news. 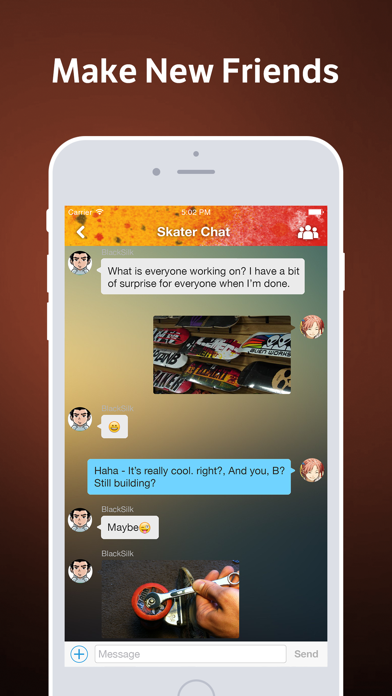 Ask and answer questions on the fly and search for expert answers on everything skateboarding. If you love getting air, nosegrinds, riding goofy, vert ramps, extreme tricks, ollies, longboards, skateparks, Stavros Niarchos, Tony Hawk, Rob Dyrdek, Jamie Thomas, Stefan Janoski, Ryan Shekler, Chad Muska, Tony Alva, Eric Koston, Stacy Peralta, Baker, Destructo, Element, Emerica, Enjoi, Flip, Habitat, Independent, Organika, Osiris, Pig, Ricta, Royal, Sk8 Mafia, Spitfire, Supra, Toy Machine, Alien Workshop, or any other aspect of the skateboard universe, then this is the right community for you!